How to Save Yourself Hours this Autumn! Keeping a lawn clean and tidy is not the work of a moment. 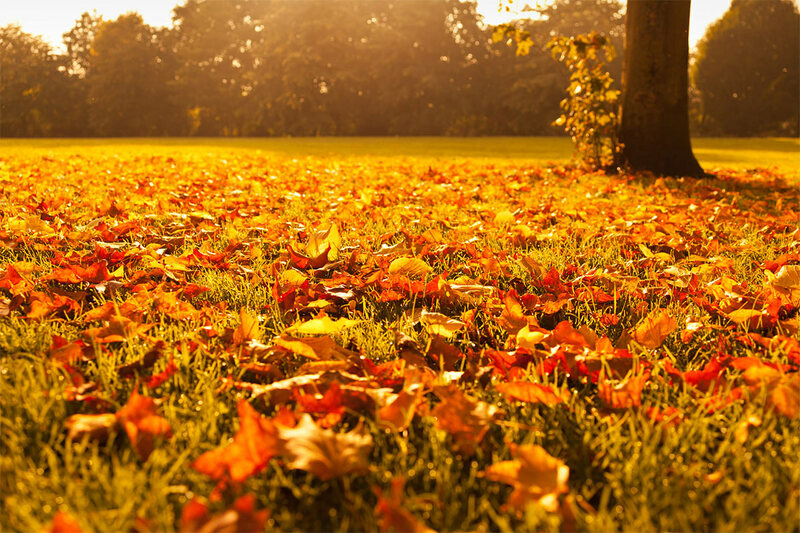 Even if yours is only a very small lawn, the chances are you will spend a lot of time dealing with weeds and clearing up leaves and other debris that comes down with autumn winds. Then there’s the mowing: grass grows very quickly when the warm weather combines with regular rainfall, and this can mean that you need to be mowing your lawn, no matter the size, on a very regular basis! Of course, with a good mower – which you likely have – you get the advantage of a grass box so the cuttings are picked up after you. This makes life a lot easier as it means you don’t have to rake over the whole lawn. That’s not the case, however, when it comes to fallen leaves and the like. These need to picked up individually, and that can be added time on your weekly lawn maintenance routine. It’s also a very big job if you have anything bigger than an average lawn, or – as many people have – you are lucky enough to have a lawn that is surrounded by beautiful trees and shrubs. So, what can you do to make life easier? You can invest the small amount and buy one of the most useful garden items you will ever use – a lawn sweeper! What is a lawn sweeper, and why do you need one? Let’s have a closer look. A lawn sweeper is a machine that is designed to clear your beloved lawn of ugly and unsightly leaves, twigs and other debris that may fall in a storm or when the autumn comes and the trees shed their leaves. These are very simple devices, easy to use and effective, and they don’t cost a lot of money. Indeed, a lawn sweeper is the perfect companion to your lawn mower, and one followed by the other means you will always have a beautiful lawn. How do they work? Lawn sweepers – which come in a wide variety of designs and sizes – are simple yet clever machines that are usually manually operated. They come in two maim forms: those that you push, and those that you tow, usually behind your ride-on lawn mower. They are fitted with a variety of brushes, generally on a rolling cylinder, that are designed to pick up the debris, which is then deposited in a large bag at the back. It’s that simple – all you need to do is then empty the bag, and you can carry on. There are many different sizes of models so you can use a lawn sweeper on even the biggest lawns. The specifications to check are the cutting width and the size of the bag; the wider the better, and the larger the bag, the less times you will have to stop to empty it. Also, make sure it has adjustable height so you can tailor it to the sort of surface you have – not all lawns are perfectly flat, after all! The lawn sweeper is just one way of saving time and making your life easier in the garden this autumn, and there are many more! One is to make sure that you keep weeds to a minimum, and while this can be tiresome, a few minutes every weekend pulling them up by the roots can be very effective> be careful when using commercial weed killers, however, as they can contain chemicals that are dangerous to dogs, cats and perhaps even children. Another way to ensure you have less debris to clear up in the autumn is to make sure your trees and shrubs are correctly pruned. You can keep branches cut back from overhanging the lawn yourself, but if you don’t have the time you will find a professional tree-maintenance service will do the job for you at a sensible price – it’s well worth getting them in on a one-off basis every year to make sure things are neat and tidy for you. The garden is a wonderful part of your home, and the lawn a very beautiful and much-used space, s keeping it neat and tidy is always worthwhile. Buy yourself a good lawn sweeper and you will wonder how you ever managed without one of these clever devices before, and follow the other tips we have mentioned for an easier life when the summer is over and autumn begins to settle in.